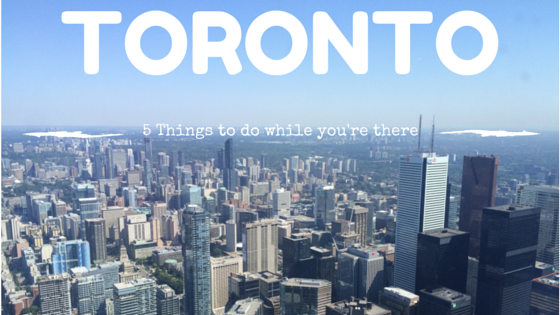 Toronto is often mistaken for being the capital of Canada, when in fact that is Ottawa. 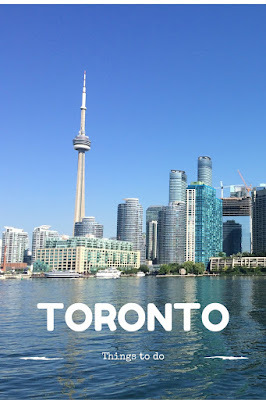 Toronto is the capital of the province of Ontario and is sprawled across the massive Lake Ontario it is often underrated with what it has to offer visitors. At 553m high it's hard to miss the monstrosity that is the CN Tower from nearly any where you are in the city. Located between the Rogers Centre and the Convention Centre in downtown Toronto, the CN Tower is open 8:00am-11:00pm 364 days a year (closed Christmas Day) and has a whole lot more to offer than an amazing view of the city. You can visit the 360 Restaurant, or if you are really brave you can partake in the heart-stopping Edge Walk (no thankyou!). There are a few different levels that you can visit while you are there and $35CAD will get you to the lookout and glass floor level, an extra $12CAD will get you to the SkyPod (that extra little bubble at the very top of the cement column). I went ahead and purchased the SkyPod level and really the only benefit was the you could look straight down (if you don't have an aversion to heights that is!) and see the people doing the edge walk - as long as they are there at the same time you are, otherwise I'd say forget it. If you need more to do while you visit then Ripley's Aquarium of Canada is right next door as well. 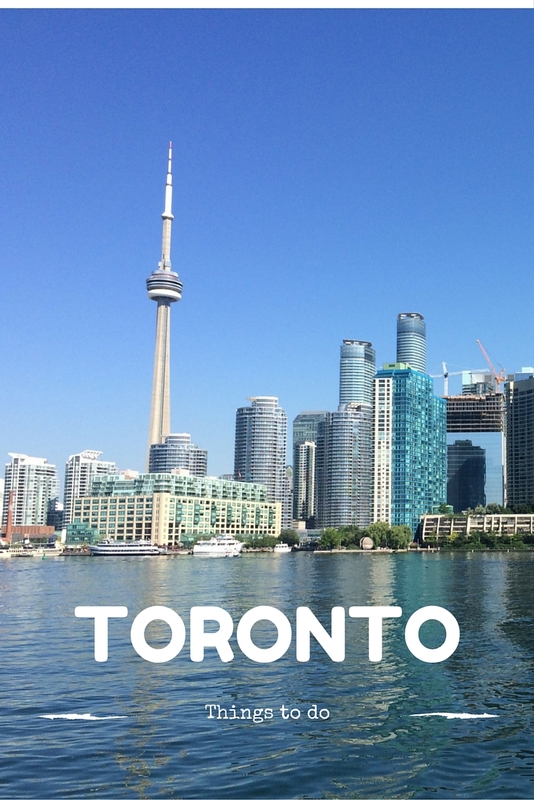 A short ferry ride away is Toronto Islands and they are easily accessed via 3 ferry terminals on the shore front. It cost me $7.25 return to head over for the day. I went straight to Central Island and walked over to the beach. Many people take their bikes over but you can hire many different types of bikes on the island if you so desire. There are loads of wide open spaces for picnics and other outdoor activities as well as restaurants, cafes and an adventure park for the kiddies. I spent the day laying on the beach and enjoying some downtime away from the hustle and bustle of the city. The Distillery District is just east of the city centre and well worth the visit. The historic precinct is home to many quaint little cafes, restaurants and gift shops all nestled in the buildings of the former Gooderham & Worts Distillery. In some buildings you can still see some of the old machinery and artifacts from the time gone by. And if you so desire you can add your locket with your love to the love locket mural. Open Tuesday through Saturday St Lawrence Market is definitely worth a look. With over 100 vendors on any given day including butchers, bakers and artisans you can find almost anything at these markets. Located on Front Street East the grandeur of the building is difficult to miss. The baseball season runs for about 6 months (typically April through September) and with 81 home games in that time, if you are spending a period on time in Toronto then you are bound to be in town when a home game is on! Their home field within the multi-purpose Rogers Center is right beside the CN Tower and holds 54 000 people. Tickets to the game start at just $15CAD (including tax) so it can be a really cheap and entertaining night out. A tip for making it an even cheaper night is to eat outside the venue before going in. There are plenty of street vendors outside the stadium selling many different things and is quite a lot cheaper than buying from vendors within the stadium. What's on your must do list? Linking up with With Some Grace, Justin Plus Lauren and A Hole in My Shoe.